Vikki Bird is a knitwear designer based in North East England. She specialises in bright and bold children's designs, often taking inspiration from the suggestions of her two children, and also likes to design homewares and small accessories. Cardigans make a perfect additional layer during the transitional period from summer to autumn. This preppy cardigan features classic raglan shaping combined with intricate cabled panels that run down the two fronts of the garment. Make a sweet vest for the little sailor in your life. Featuring an intarsia sailboat on the front, this vest is inspired by vintage nautical designs. The shoulders are fastened using buttons to allow for easy dressing. Narwhals are a new favorite of the mythical beasts, mostly because they are real! 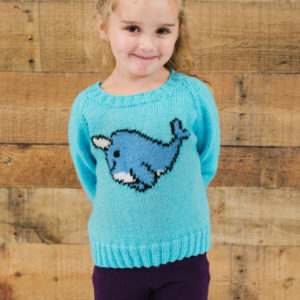 This cute little narwhal is added to the sweater using the intarsia technique and the sweater is worked flat from the bottom up. Your little ones will always be a treat, but keeping their styles up to date with their growth spurts can be tricky. 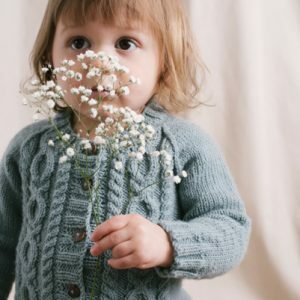 This classic baby sweater is just the project to work up in time for fall to keep them feeling comfy and looking cute. The design is knit from the top down with a lace leaf design and garter hems and cuffs. This unisex blanket and pillow set features an array of bunny silhouettes that make it the perfect addition to any baby’s nursery. Knitted from the bottom up, the blanket’s bunnies are added using the intarsia technique, and the entire piece is finished off using a moss stitch border. 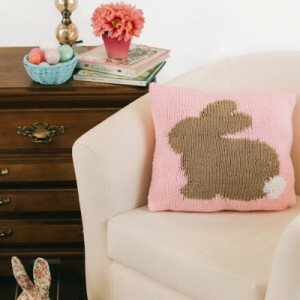 The Bunny Pillow is a much smaller project, featuring a single bunny at its center. Add a touch of woodland whimsy to any room using this charming set. What’s cuter than a knit bunny? An entire band of bunnies! This little A-Line cardigan is not only cute, but it’s a blast to make. 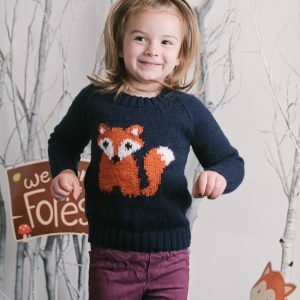 Knitted from the top down, this design features a garter stitch border with buttons down the front, and a charming row of rabbits at the bottom. The row of bunnies are stranded, with cabling and bobbles to make them stand out. They are knitted on a reverse stocking stitch panel, while the rest of the garment is knitted in plain stocking stitch. These socks feature a simple lace pattern, and are ankle length to make them even more appropriate for spring. The picot cuff adds a delicate detail that’s perfect for the season. The socks are knit from the toe up, with a gusset and slipped stitch heel flap. The Snowflake Infinity Scarf features a tessellating snowflake design based on traditional Scandinavian knitting. The cowl is designed to be long enough to wrap around the neck twice for extra warmth. 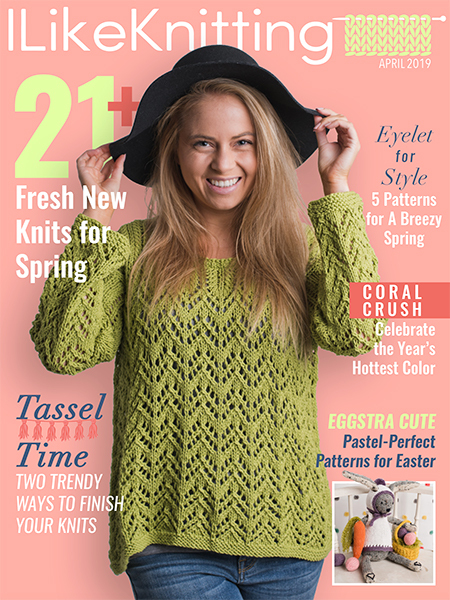 You’ll love this attractive design featuring a Fair Isle technique knit in the round.